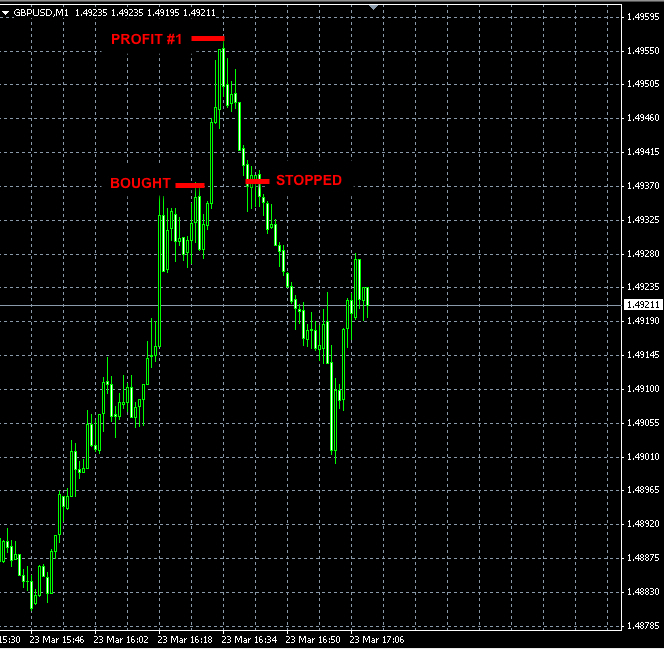 In Forex Trading the word “Scalping” is often used among Currency Traders. What does it mean to “Scalp” Trades? Scalping in Forex is a style of trading where traders attempt to take advantage of small price fluctuations of currency pairs. 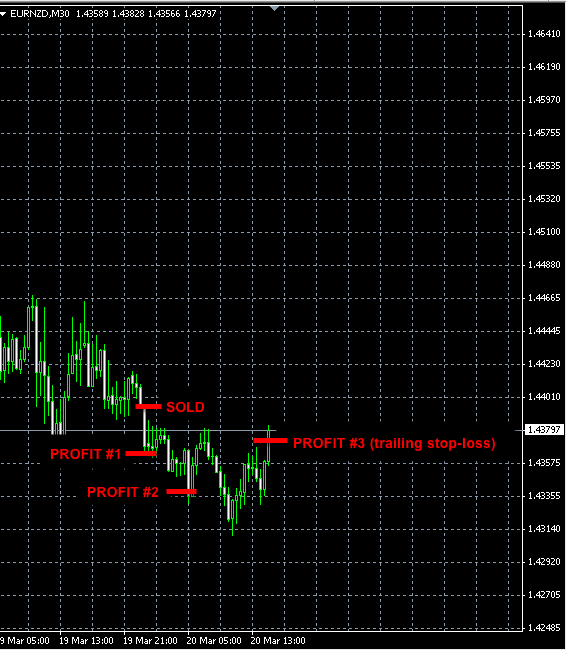 Scalpers “jump” in and out of numerous trades within a short period of time trying to make (“to scalp”) a small profit on each trade. Scalpers make tens and even hundreds of trades per day. 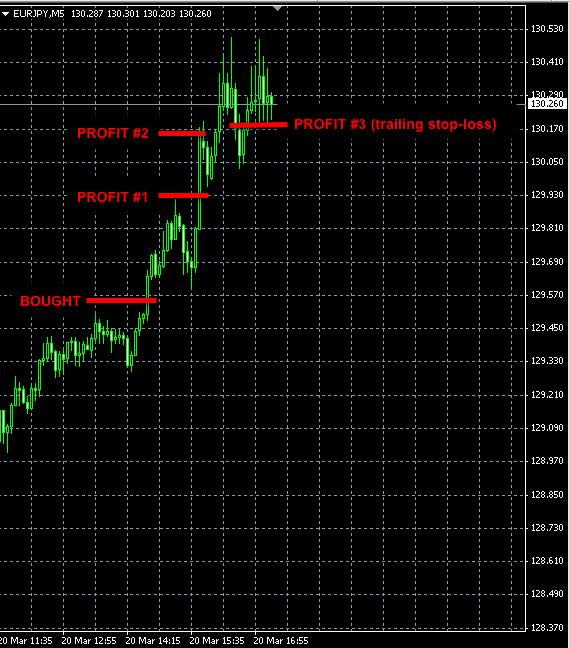 In Forex Trading the word "Scalping" is often used among Currency Traders. What does it mean to "Scalp" Trades? 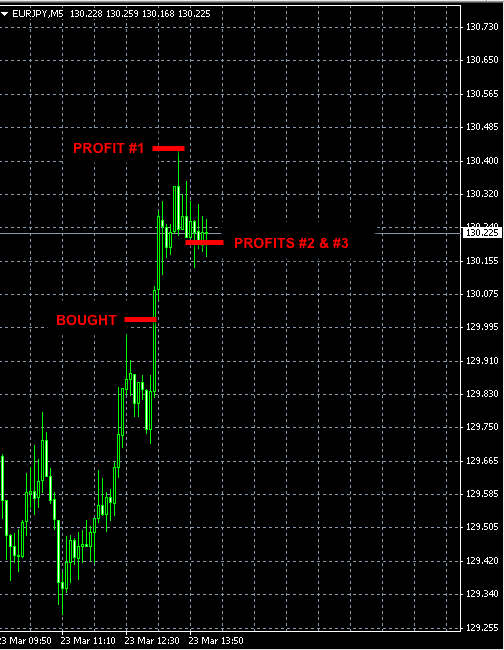 The first trading unit reached its profit target. The remaining 2 units were stopped at their break even prices. This signal reached the first profit target and the price keeps falling. We did not trade on Monday, made a small profit on Tuesday and refrained from trading today as we did not want to get caught in the volatility. Therefore the trading results this week are pretty much at the break even level so far.